Alfa Romeo has recently given the world a taste of its gorgeous Giulia Quadrifoglio, a 503 hp Italian thoroughbred that will give the BMW M3, Audi RS4 and Mercedes-AMG C63 a real fright. However, the Milan-based brand isn’t done threatening the Germans, as it’s just announced that it will be developing a new SUV to compete with the Porsche Macan, BMW X3, Jaguar F-Pace and Audi Q5, the Alfa Romeo Stelvio. Autocar has learned that the Alfa Romeo Stelvio will be based on the same architecture that underpins the Giulia and will likely share powertrains as well. 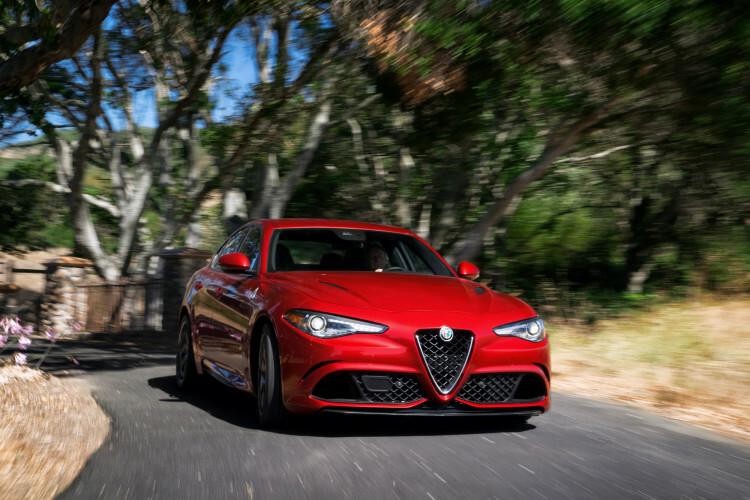 In terms of engine and transmission, expect a variant of the 2.9 liter twin-turbocharged V6 that powers the Giulia Quadrifoglio in the highest-performing Stelvio. However, don’t expect 503 horsepower, as it will be tuned to produce more torque and less overall hp. The 2.0 liter turbocharged four-cylinder engine in the standard Giulia will likely be the power plant for the lesser Stelvio models and there will be some diesel engines available in Europe. All engines will most likely be mated to the same ZF-sourced eight-speed automatic used in the Quadrifoglio. There will be rear-wheel drive models as standard, similar to the BMW X3 and X5 which have rear-wheel drive available in the base models, but all-wheel drive will also be available and likely be the most popular choice. However, it’s possible that the North American Stelvio will be all-wheel drive only, like BMW’s X1, which is front-wheel drive as standard everywhere except the US, where it’s only all-wheel drive. Despite the Italian firm’s connection to Chrysler and Jeep, the Stelvio will be geared more toward performance and handling as opposed to off-road performance. The main target for the Stelivo is, admittedly, the Porsche Macan, as that is the segment leader in terms of handling dynamics. Jaguar’s new F-Pace is also a great driving SUV. But BMW is currently working on a new X3, which will be much lighter, tighter and more dynamic than the current-generation model. So it will definitely compete with the new Alfa Romeo Stelvio. The man behind the Alfa Romeo Stelvio is Roberto Fedeli, the former technical director for Ferrari and also formerly of BMW M. When Fedeli was at Ferrari, he oversaw the engineering development of the Ferrari 458 Italia, F12 Berlinetta and the mighty LaFerrari. So he knows how to make a proper driver’s car and he’s putting that expertise into the Stelvio. Sounds promising. In terms of looks, we don’t know what it will look like as Alfa Romeo hasn’t released any sort of imagery just yet. But if it has styling that’s anything similar to the Alfa Romeo Giulia, it’ll be stunning. Right now, the only stylish SUV in the segment is the Jaguar F-Pace, so the Alfa Romeo Stelvio should add some much needed flair. While the current BMW X3 and Porsche Macan are handsome cars, and the next X3 should be a bit better looking, they’re pretty plain and familiar looking. While we don’t know what the Alfa Romeo Stelvio will look like or be like, it’s pretty safe to say that it will seriously compete in this segment. This segment is booming at the moment and it’s only going to get even more popular. With stylish cars like the F-Pace and Stelvio coming out, it’s going to be tough for the somewhat staid and unexciting looking Germans, like the BMW X3.